Home / Tips & Tricks / Can your stock photo do that? Can your stock photo do that? Depending on the nature of your business, the industry that you work in, the tone of your brand, we all have different needs when it comes to imagery. There is a lot of beautiful styled stock photography out there, and we’re not here to put that down. But when comparing pre-made stock photography to Custom Scene, in particular the Planner Edition, there is no competition. Custom scene caters for all those needs in ways that premade stock photography just isn’t able to. Here’s how.. When you purchase a stock photograph for your header image, you have to work with what you’ve got. This may mean compromising on your vision, settling for having the text positioned differently, or making it smaller than you would have chosen. Creating a mock up with Custom Scene gives you complete control over your image, and having the freedom to tweak and adapt as you go means that you can make it just right for the specific needs of your graphic.. Bespoke if you will. We understand that for a brand to be heard fluently, the colours we use throughout our websites, social media and graphics need to be spot on. You may find some stock imagery that fits with the style or format you had envisioned, but the colours are all off, or vice versa. With many objects in the planner edition (and many others) editable in colour, you can perfectly match the Custom Scene mock ups you create to your brand and keep your aesthetic uniform. Each Edition we create comes with a number of premade scenes, using the themed objects from the Edition. 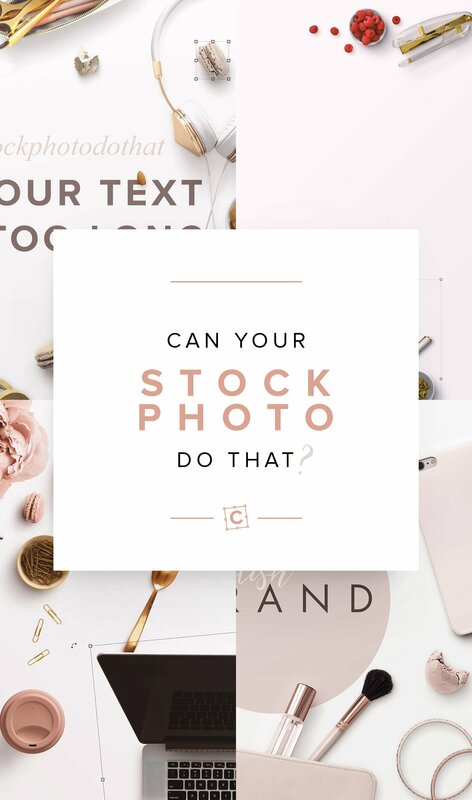 This proves to be an good economic option from a business perspective, with the cost of stock photos sitting on average between $9 and $12 per photo, you will receive 12 pre-made scenes with the edition, which could set you back $144 if you were to purchase stock photography individually. But as mentioned above, you are not at all limited with the premade scenes that are included within the edition, like you are with stock photography. You can use the pre-made scenes as they are, or use them as inspiration for creating different variations of the scenes. When you publish a new blog post, you want as many people to know about it as possible, and rightly so! The most effective tool to use in doing this is social media, but depending on the channels you use, your imagery will need to be adapted to suit, making changes to dimensions, composition and even the position of your text. Rather than creating a number of different images from scratch, by making a few quick tweaks in your Custom Scene mock up, you can create a number of different variants of the same image, but are tailored for a specific social media channel. Let the channel you are using lead the layout of your graphic. For example, for Instagram, you will likely want the image to be square, for Pinterest, you may want to use a portrait image, and so on. The video above illustrates how simple this can be with the right design resource.